Stop Press!!! Stampin’Up! announces a colour renovation! Stampin’ Up! have announced this morning that we are going to be having a Colour Reno. 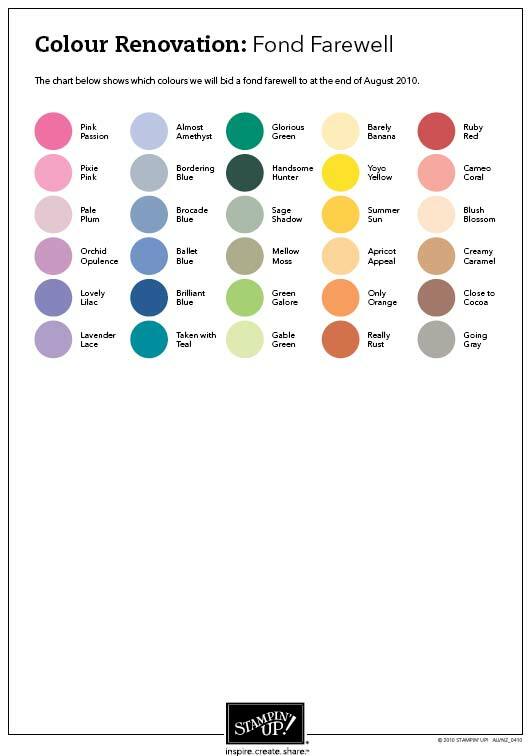 Initially I was a little sad, lots of my favourite colours are retiring, but when I picked up my lip and took a long hard look at the new colour families I’m now really very excited. 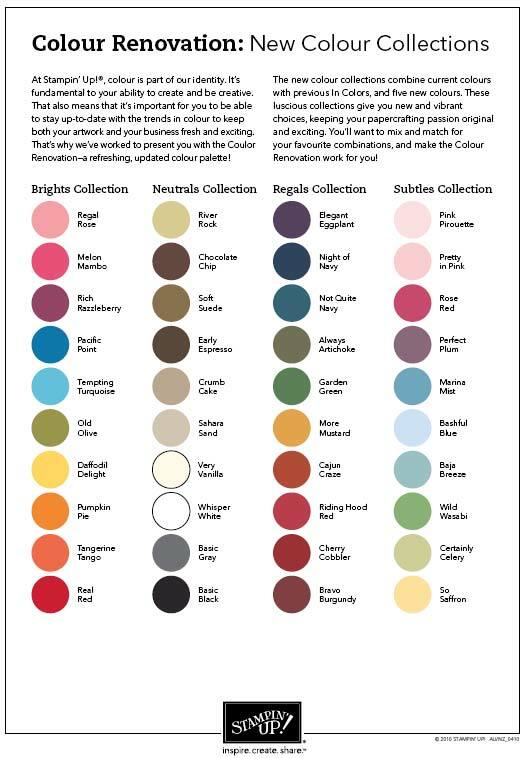 When I put the old colour chart next to the new, I realised just how ‘modern’ the new colour families look. These are the colours that will be available in September, 2010. There will be some new core colours, and also some of the past ‘in colours’ returning as permanent members. I really struggled to use the old Brights collection however I really think the new Brights and Regals will quickly become my favourites. 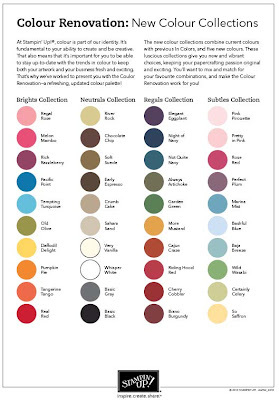 I’m also excited about the subtles, they are so much more ‘out there’ than the old subtles and I’m delighted to see that the neutrals become a colour family in their own right. These changes won’t happen for another five months, however I believe that letting you all know now will enable you to budget to stock up on reinkers, and any other coordinating products, that you have come to love. If you had been intending on purchasing any of these retiring products I’d suggest that you place an order soon as these lines obviously will only be available whilst stocks last.